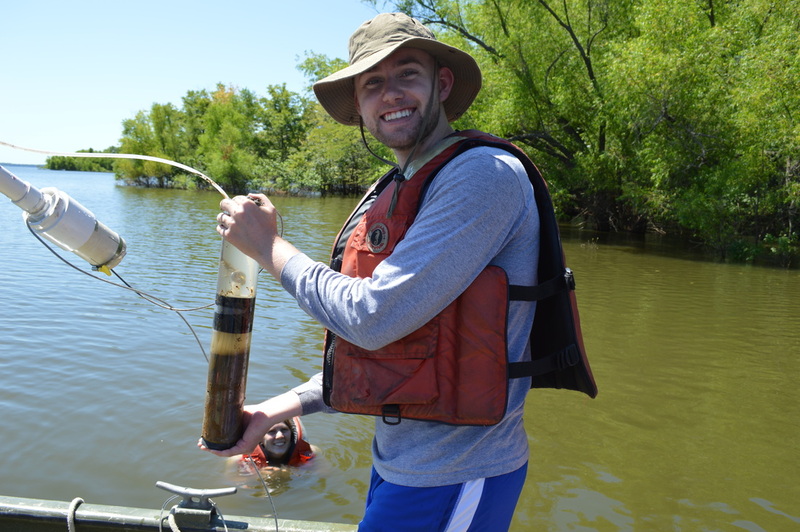 The Hydrology and Geochemistry Research Lab, led by Dr. Hasenmueller, has a variety of research projects in both natural and impacted systems. 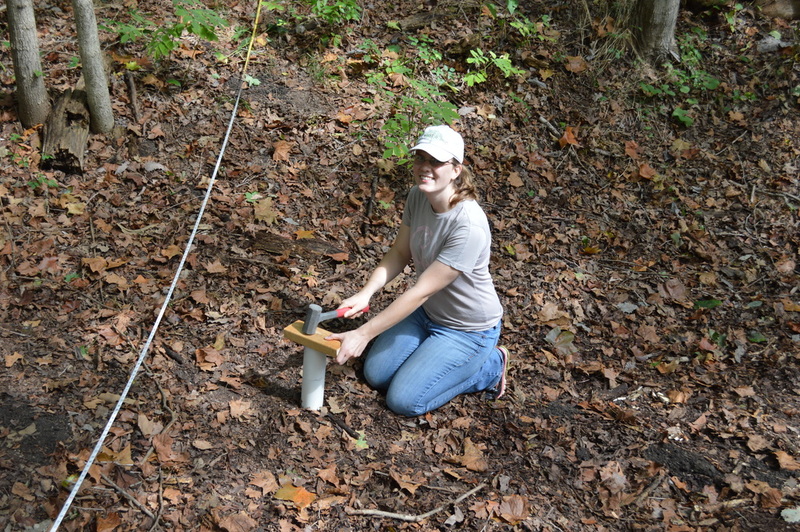 Our research focuses on (1) identifying the origin and transport of contaminants in surface waters and groundwaters, (2) understanding spatial and temporal variations in hydrology and geochemistry to identify anthropogenic influences on water budgets, and (3) determining the influence of critical zone soil biogeochemistry on weathering processes. 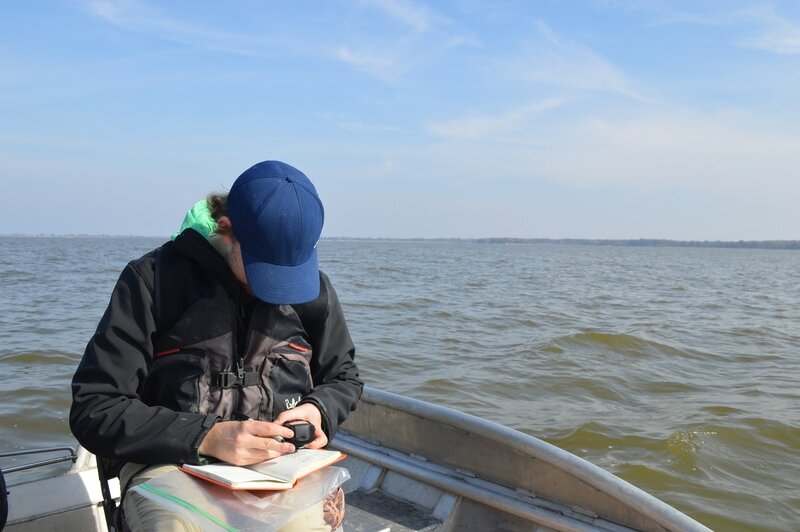 The lab combines a ground-truth approach with a broad array of advanced analytical tools to address issues of environmental concern. 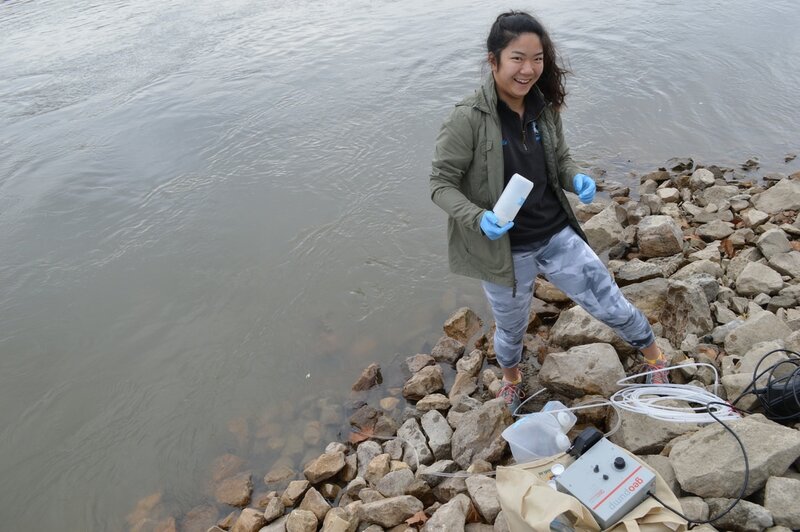 Thus, most of our studies involve field observations of water quality and flow dynamics coupled with lab-based analyses of tracers (i.e., stable isotopes, major ions, and trace elements). 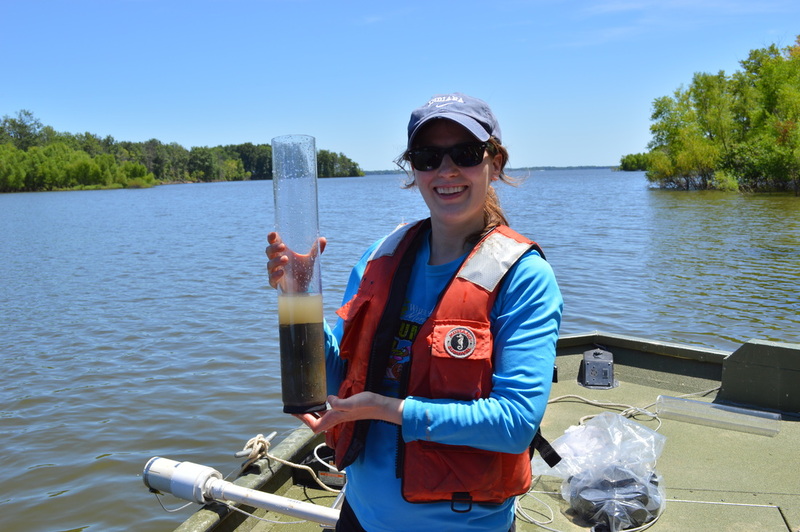 To learn more about specific projects in the lab and research opportunities, check out the Research tab. 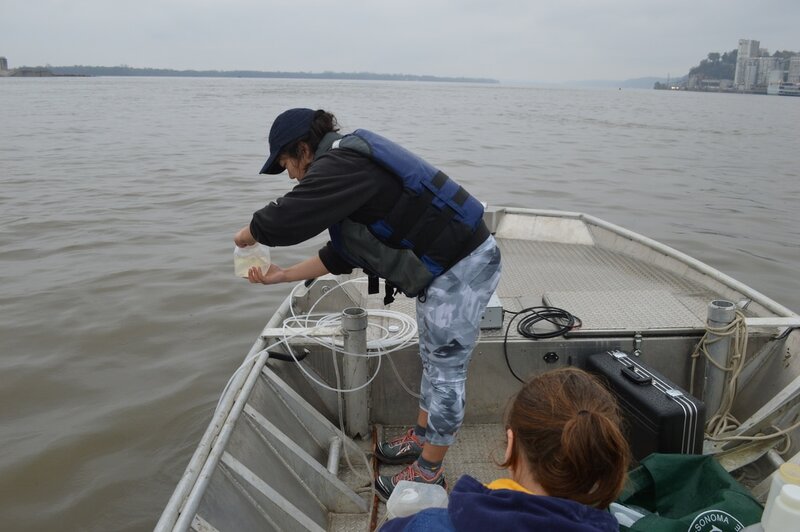 Camille Buckley sampling for microplastics on the Mississippi River (left) and Missouri River (right). 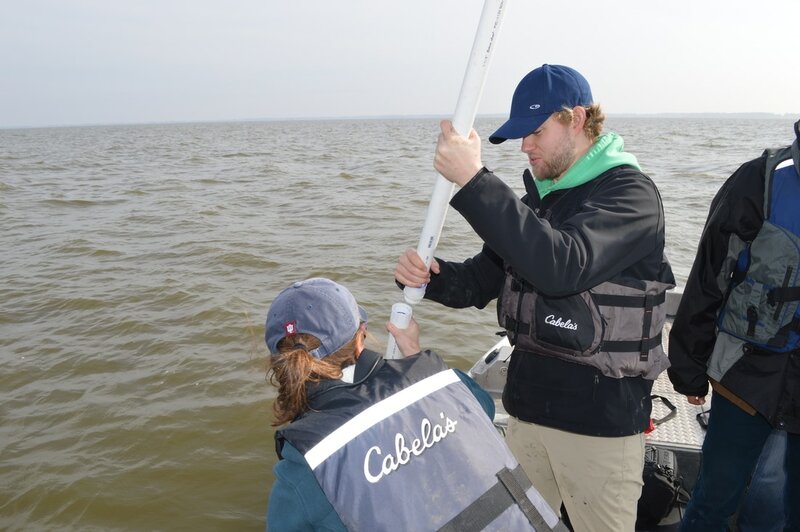 Andrew Shaughnessy collecting samples for his study on iron in lakebed sediments at Carlyle Lake. 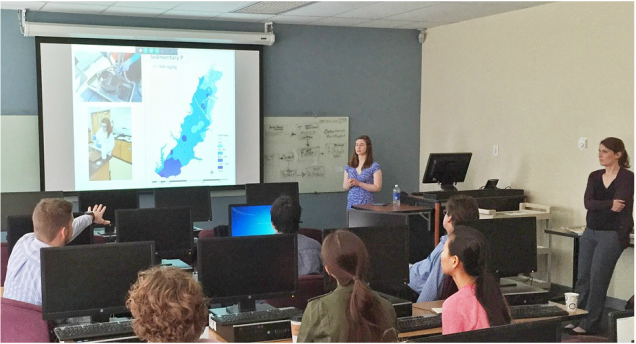 Alex Pearce successfully defending her master thesis! 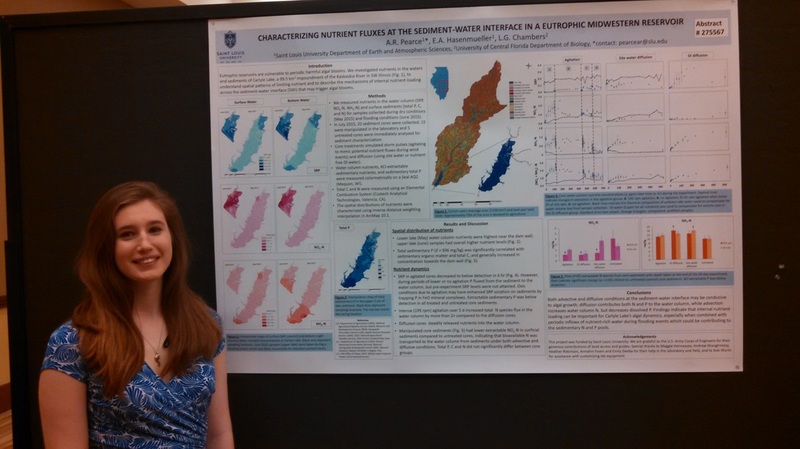 Alex Pearce (left) and Heather Robinson (right) at the regional GSA meeting in Urbana-Champaign, IL. 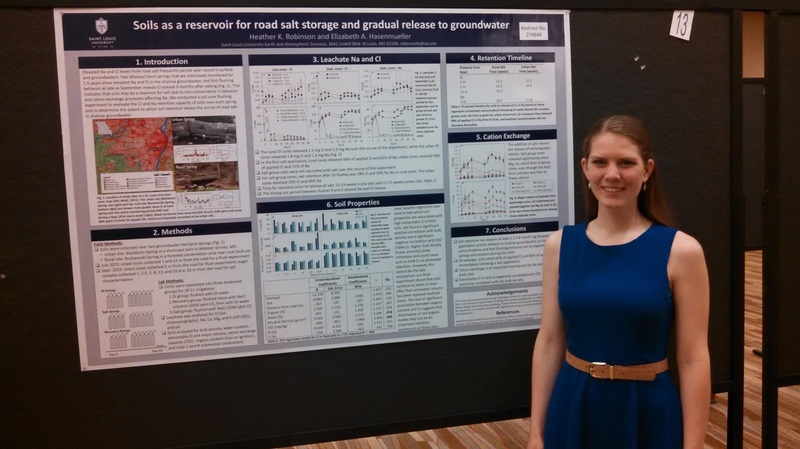 Alex presented her nutrient distribution and flux work from Carlyle Lake, while Heather presented her work on road salt retention in soils. 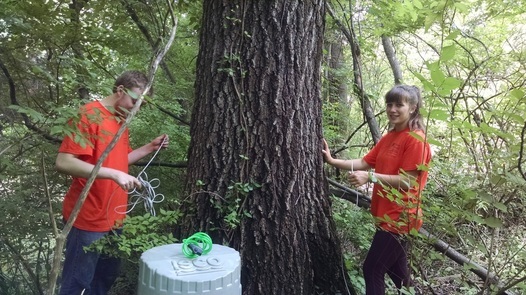 Heather Robinson (with help from the lab group) successfully caught another storm series at Rockwoods Spring and Blackburn Spring. 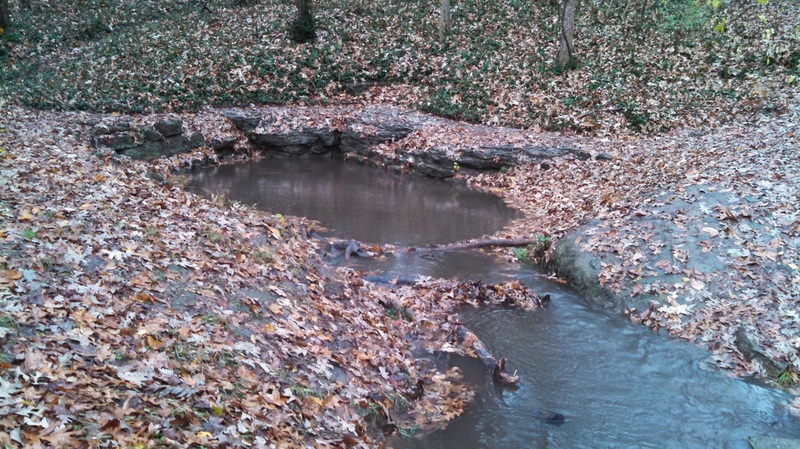 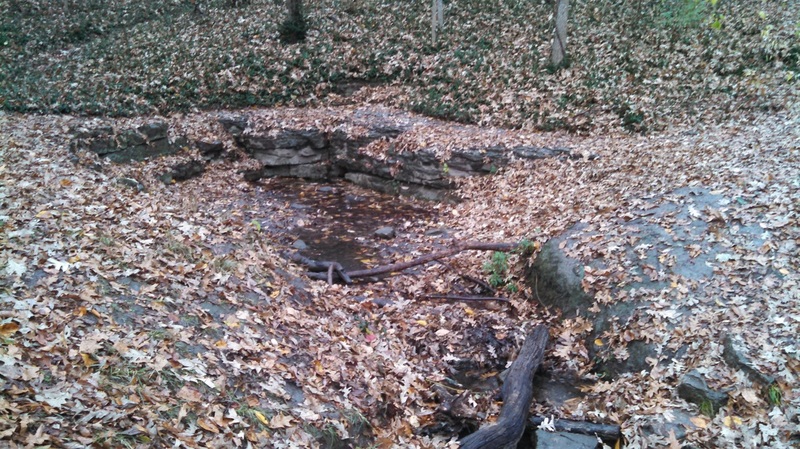 Above is an example of the changes in flow that occur in Blackburn Spring during these events. 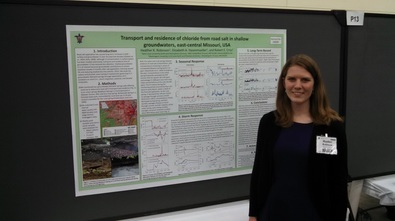 Heather Robinson presented her poster "Transport and residence of chloride from road salt in shallow groundwaters, east-central Missouri, USA" at the national GSA meeting in Baltimore, MD. 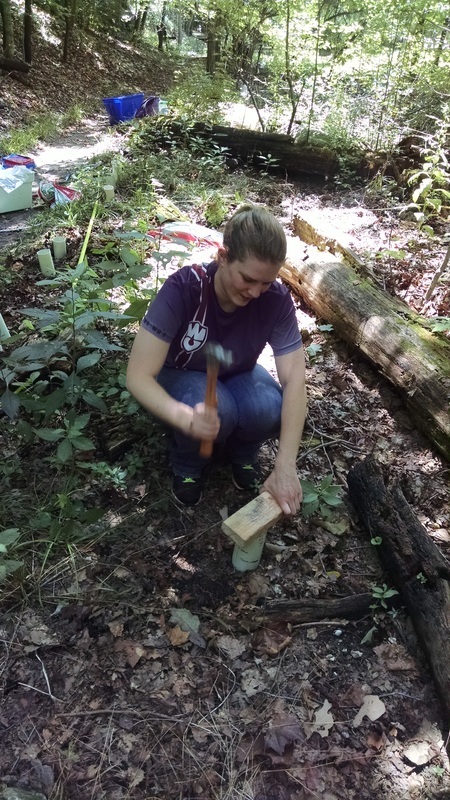 Heather Robinson collecting a second round of soil cores from the Rockwoods Reservation and Blackburn Park for her core study. 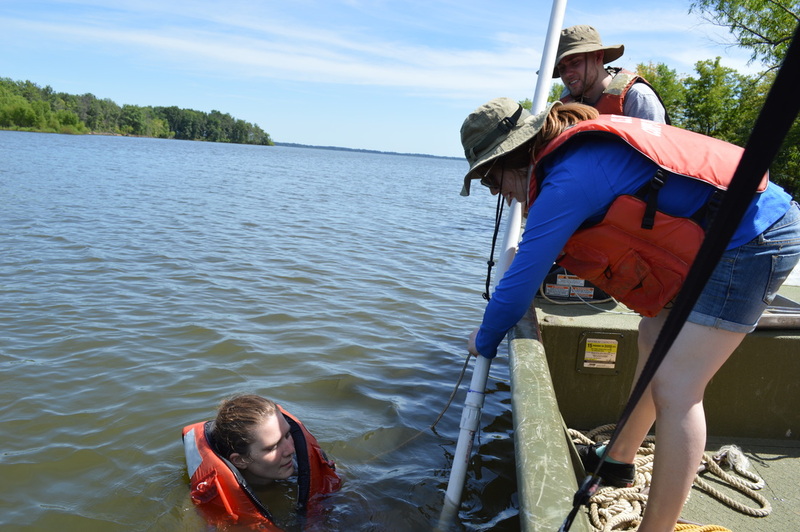 The lab group collecting sediment cores from Carlyle Lake for Alex Pearce's mesocosm study, in which she looked at advective versus diffusive phosphorus fluxes from sediments into the water column. 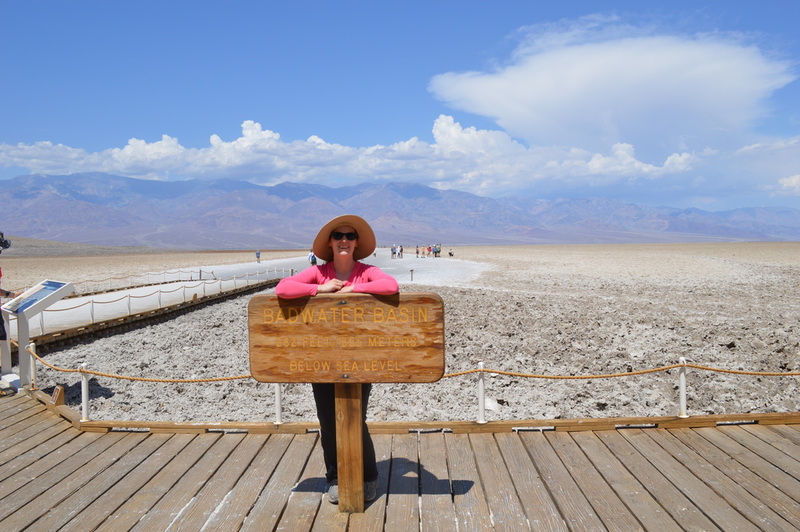 Heather was not disappointed to stay in the water all day! 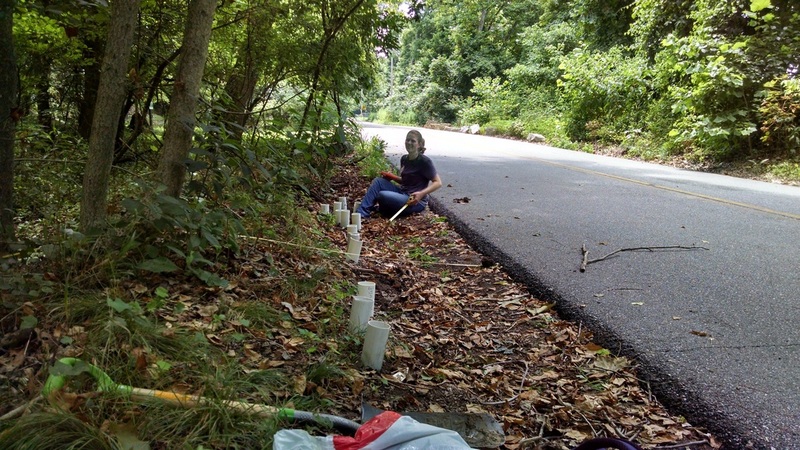 Heather Robinson collecting soil cores for her chloride residence study! 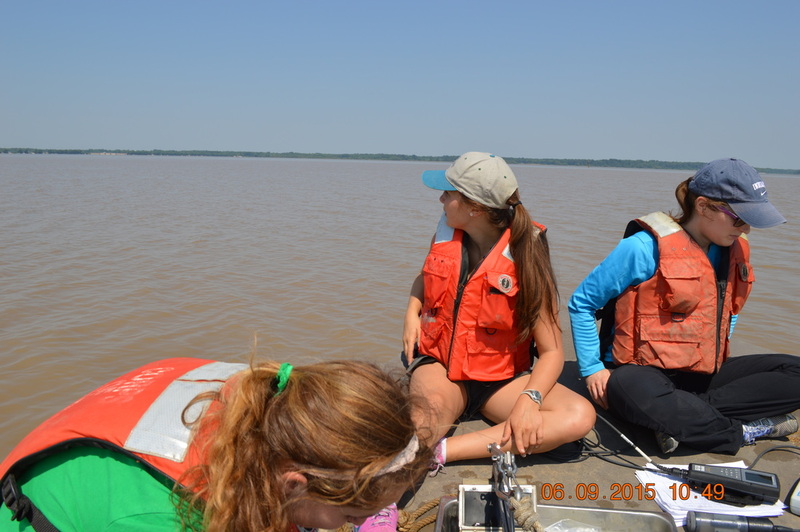 Collecting water and lakebed sediment samples at Carlyle Lake (left) and processing the samples in the lab after a long day on the lake (right). 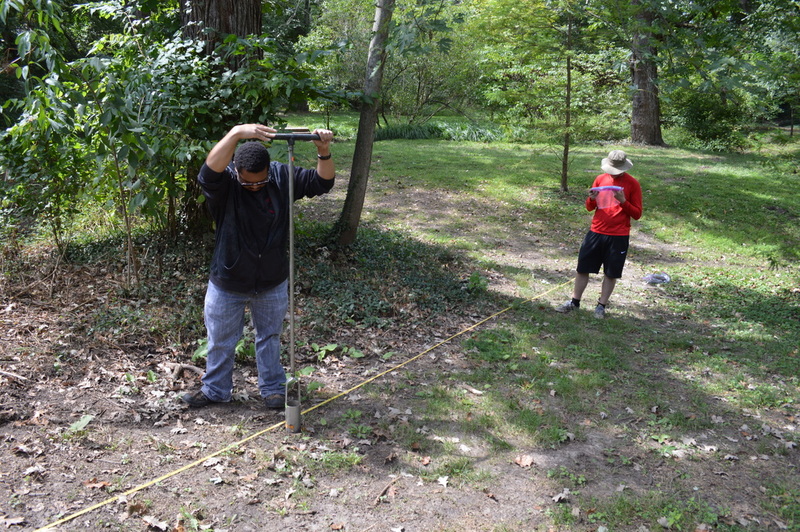 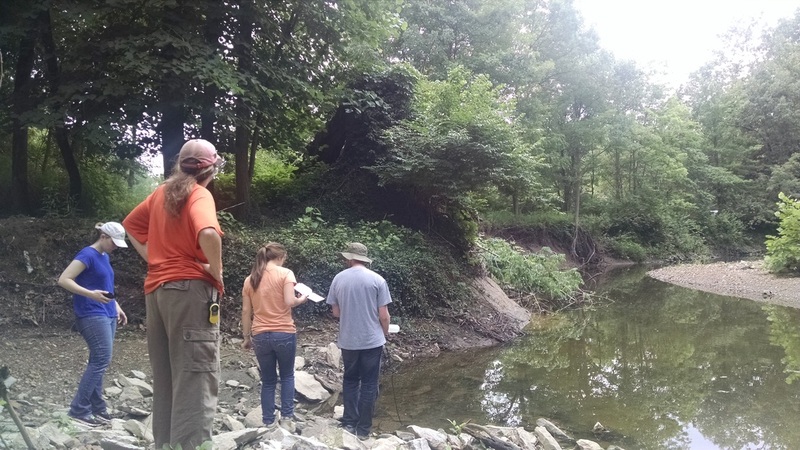 Dr. Hasenmueller and students Andrew Shaughnessy, Emily Deeba, and Heather Robinson evaluating potential field sites at the Litzsinger Road Ecology Center for installing monitoring equipment in Deer Creek. 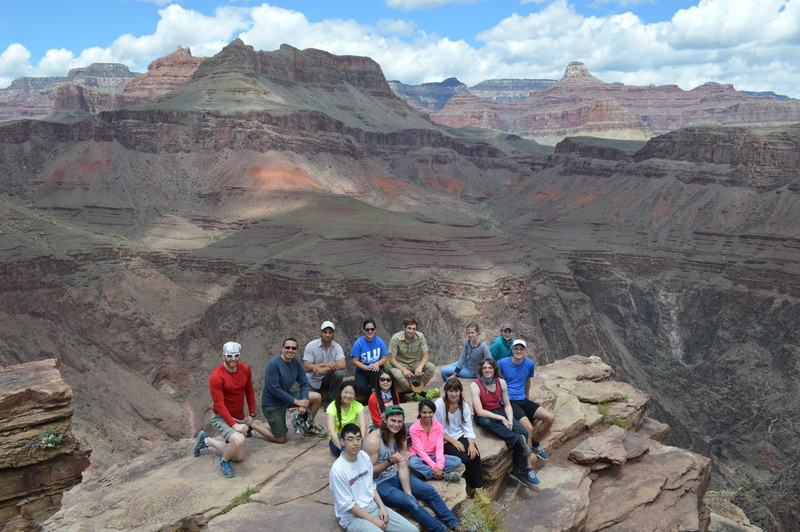 Dr. Hasenmueller co-led the Earth and Atmospheric Science Departments' spring field trip to the Petrified Forest, Grand Canyon, Death Valley, and more! 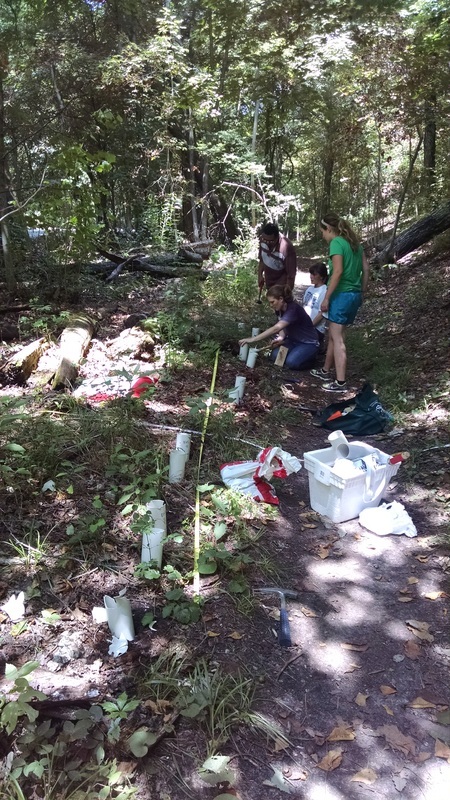 Representing the lab are Alex Pearce, Heather Robinson, and Emily Deeba.